San Jose del Cabo is a quaint, historic town of 48,000 located at the bottom of the Baja Peninsula in Mexico along the coastline east of Cabo San Lucas. Connecting these two towns is 20 miles of some of the most beautiful beaches in the world. While Cabo San Lucas is known more as a party town, San Jose del Cabo is a much more laid back, colonial town. The area is famous for its offshore fishing, particularly for Marlin. For more information on San Jose Del Cabo real estate contact your local Realtor to find your dream home. 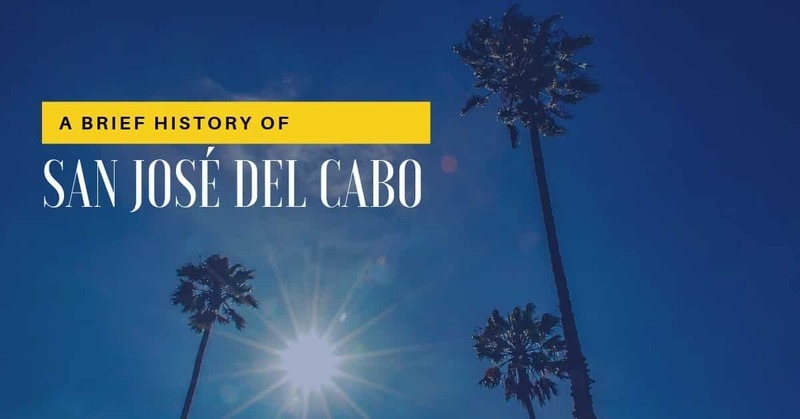 The charming town of San José del Cabo is a highly desirable area for those who prefer a quieter atmosphere and want to be surrounded by the regions exquisite beauty and history. The historic real estate in the downtown district is a walk through the past and for those who have always called it home and those who have decided to make it home, it’s important to keep it that way. But San José del Cabo is not all about the past and it is taking its place, among other attractions, as a world-class golf destination with courses such as Club Campestre, a stunning golf residential community with a spectacular beach club. Master planned communities such as Puerto Los Cabos designed by Jack Nicklaus and Greg Norman, and the Campestre golf course are drawing golf enthusiasts and home buyers from around the world. Real estate buyers looking for investment and retirement homes in the San Jose del Cabo region now have more choices than ever with properties ranging from spectacular building sites to luxurious beachfront homes, condominiums and numerous other homeownership possibilities staged beautifully around magnificent golf courses and along scenic beaches. Condominiums are another booming market in and around the San José del Cabo area, with many developments that offer a range of spectacular views like those from the hills above the Mayan Golf Course. The expansive beaches of San José del Cabo have seen an explosion of renovation, and the area now hosts many luxury homes, privately owned condominiums and updated villas in communities like Tortuga Bay and Alegranza. Puerto Los Cabos, a 1,900-acre master-planned resort east of San José del Cabo, stretches along three miles of pristine white-sand beach on the Sea of Cortez and offers many luxurious residences, five-star hotels, and all the modern amenities. Puerto Los Cabos is set apart from other seaside areas because of it’s magnificent, world-class marina. Older homes and new construction homes being built in Puerto Los Cabos, Campestre San Jose, Querencia and other exclusive areas reflect the regions distinctive cultural identity while touting its luxurious ambiance. Many hacienda-styled homes have been updated with contemporary styling which includes modern, updated comforts while still retaining the traditional gracious and warm-hearted character that Mexican architecture is so well known for. To add to the area’s appeal, the San José del Cabos airport expansion project and new convention center is a move to accommodate the region’s growing tourist trade. The airport has received a number of upgrades over the last few years. This means much easier access in and out of the region. All in all, if you are looking for a luxury retirement home in a tropical environment with incredible fishing and world-class golf courses, San Jose Del Cabo has got it all.